The Angel Inn is widely credited with changing the face of pub grub; it began serving quality, meals made with freshly prepared, seasonal, locally-sourced ingredients in the days when most country pubs were still churning out chicken in a basket. 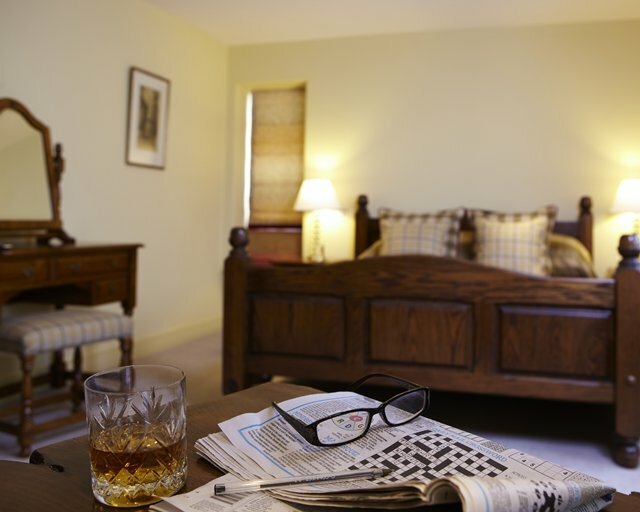 You can dine in the relaxed Bar Brasserie or book a table in the slightly more formal Restaurant before retiring to the comfort of one of nine beautifully-appointed guest bedrooms. Wherever you choose to eat, you’re in for a gastronomic treat. 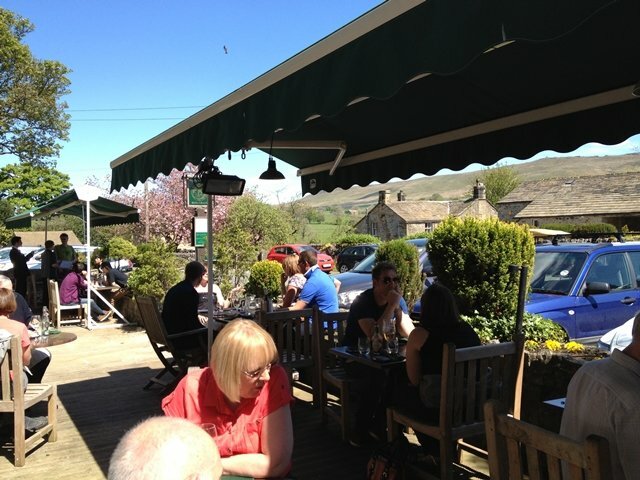 Meat and game are sourced from the Yorkshire Dales and Lancashire, fresh fish comes from the East and West coasts, and legumes and soft fruit from local farms. 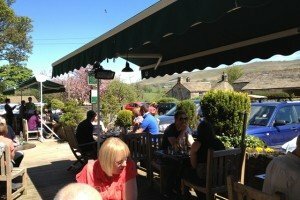 This multi-award winning country inn is located in the the village of Hetton near Skipton and enjoys wonderful views across Rylstone Fell. It’s a great base for exploring the Yorkshire Dales, not to mention a memorable setting for family parties, weddings and corporate functions. The team pride themselves on their flexible, approach to meeting customers’ needs. This ancient pub dates back to the 15th century and was almost certainly a drovers’ inn. 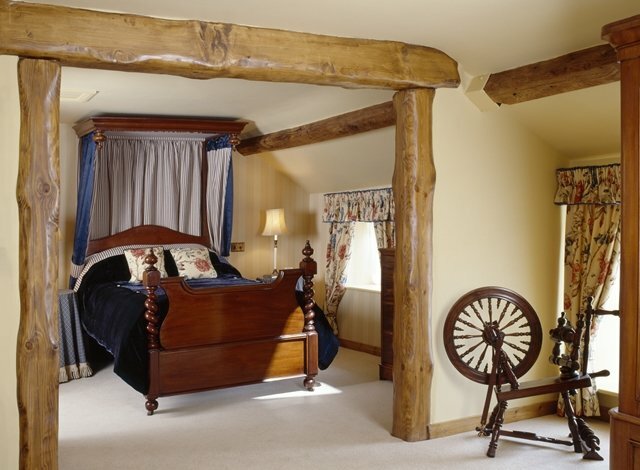 Most of what you see today was added in the early 18th century, when the inn served nearby farming communities. It became known as a traditional dining pub in the 1960s but, when Denis and Juliet Watkins bought it in 1983, they kick-started a cultural revolution that led to the birth of what most of us know as the ‘gastropub’. 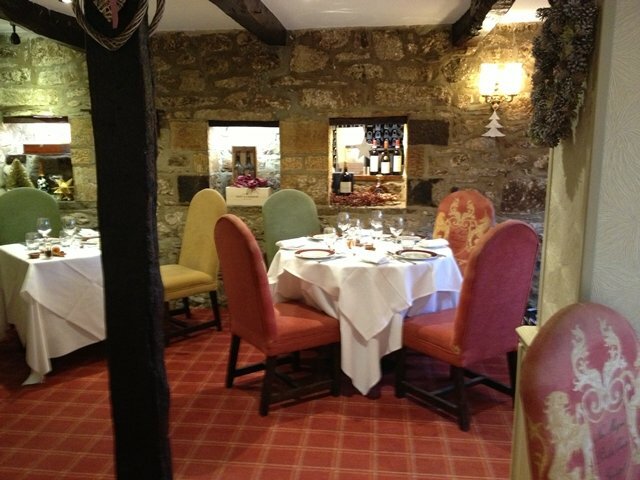 Today, the Angel Inn is run by Juliet; her son, Pascal; and their team. 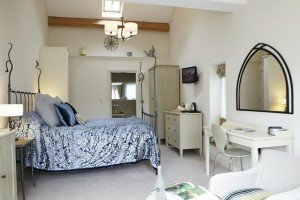 Opposite the inn is an attractive barn conversion offering a choice of two studio bedrooms and three suites, one of which extends over two floors. The rooms have a cosy, country feel, in keeping with their Dales barn setting, together with all luxurious finishing touches that you’d expect from a boutique hotel. 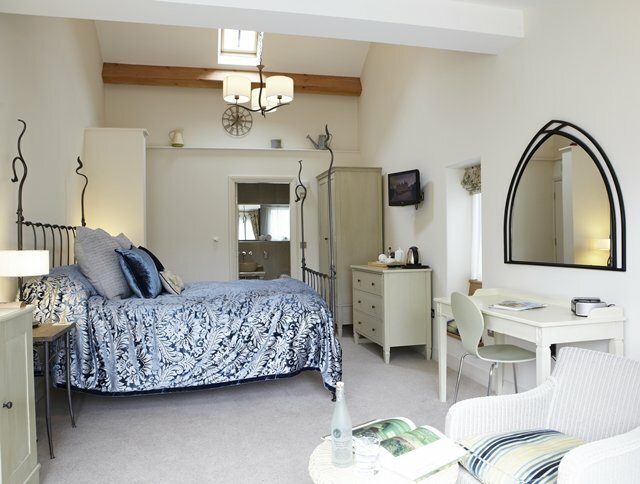 Next door to the Inn is Sycamore Bank, a sympathetically designed modern development comprising four contemporary bedrooms, each of which is decorated and furnished to the same high standard as the rooms in the barn. The fixtures and fittings have been carefully chosen to compliment the natural beauty of the ancient stone barn and its exposed beams. 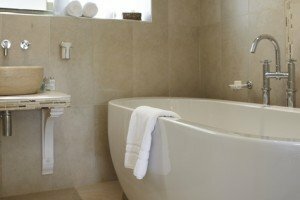 As well as plush soft furnishings, modern white en suite bath and shower rooms, the rooms all have mini bars, tea and coffee making facilities, free wireless internet access and iPod docking stations. 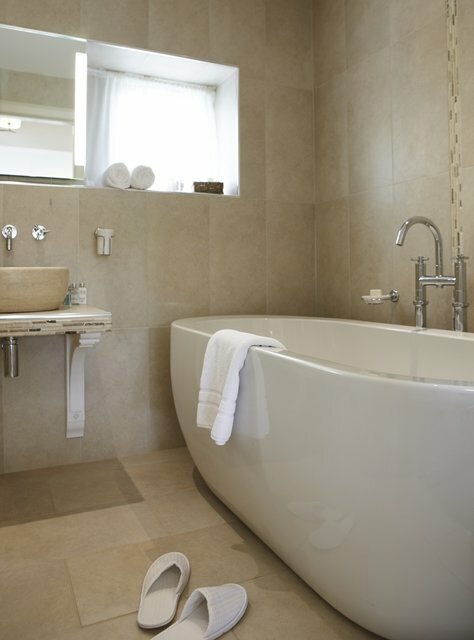 The ground floor bedroom has a wet room, making it is suitable for disabled guests. Prices for a double room range from £150 to £200 per night. Given the Angel Inn’s status as one of the country’s premier gastropubs, you’re guaranteed a hearty, home-cooked breakfast made with the finest, local produce. It’s so good that it won a breakfast award from Visit England. 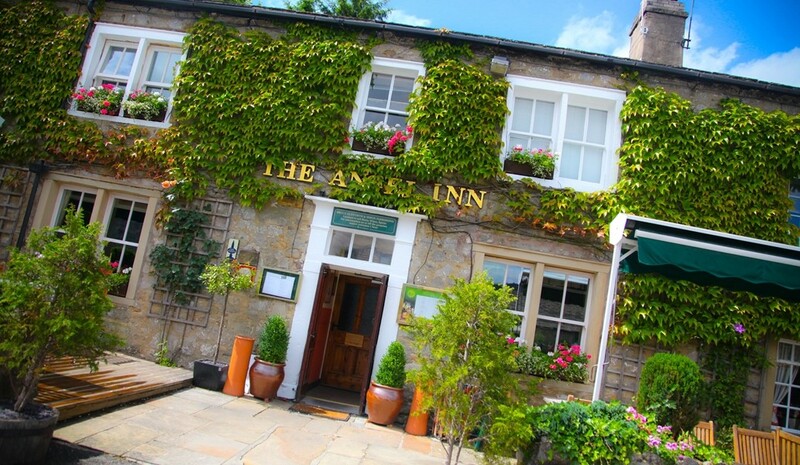 The Angel Inn is a unique and intimate place to exchange vows before celebrating with family and friends. In fact, the Wine Cave is one of the most atmospheric wedding venues we’ve ever seen. The friendly team offer a truly bespoke wedding planning service. 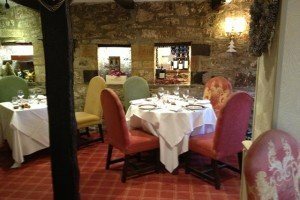 The Restaurant can seat up to 70 guests, offering a choice of menus to suit your taste and budgets, whilst The Snug is a delightfully cosy setting for smaller parties of up to 15 guests. 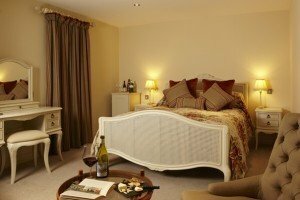 A host of extras are available; contact the team to discuss your requirements. 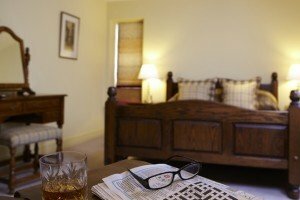 You have found a wonderful place to stay and Boutique and Breakfast is committed to giving you a personalised service so that you can find the right room at the right price. 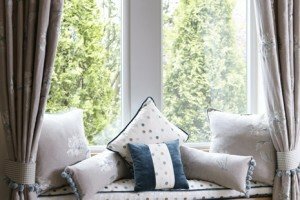 Simply fill in our enquiry form and within 24 hours you will receive a response from The Angel Inn tailored to your needs. This will be in the form of either a telephone call or an email. This is one of the best run hotels we've ever been to. The accommodation has everything, and the food was mainly local and brilliant. I loved the choice of East Coast fish or full English for breakfast. They've thought of everything I need in the rooms.